On Memorial Day: To the ones that didn’t make it home and the ones who did. 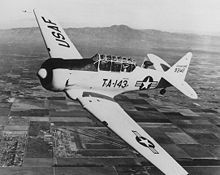 My half-s ister’s father was shot down over Korea. MIA to this day. My cousin from my adopted family made it home from Korea, but not totally unscathed. A friend went to Nam and I don’t know if he ever returned. A friend’s son injured in Afghanistan. I hate war. I grieve for the losses of brave hearts and the families they leave behind. An excerpt from a poem of mine. My sister’s father flew a plane. Shot down one day when she was three. They never found that MIA. She has a photo on her shelf. All that’s left of him. the one where other fathers flew. Good old W W 2. But we are all alike, alone. Whether the tomb is lost or known. of what war brings everyone. Need a laugh? How about 101 of them? Need a laugh? How about 101 of them? Take a look at this website. Urbandictionary.com Find out common meanings of your first name. I hear everyone is doing Urban Dictionary these days. You can choose the ones you like and ignore the rest. I know, wasting my time on this junk when I should be writing. Just go try the site. But don’t blame me for what you find. The Chocolate Milk Diet. Sounds like something I could follow. 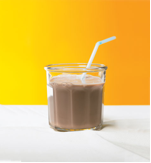 “The Chocolate Milk Diet,” which isn’t a diet at all. It’s essentially three eight-ounce servings of chocolate milk consumed at key points throughout your day: one when you wake up, a second before you exercise, and a third directly after your workout. Or, if it’s your day off, just pattern them for morning, afternoon, and night. Sounds good, right? It is, and that’s why it’s so easy. But is this a free ticket to eat as much fried chicken as you want throughout the rest of the day? Unfortunately not, but alongside a healthy diet, it can help you drop lots of belly fat fast. Secret #3: The Endurance Boost David says that in a study published in The International Journal of Sport Nutrition and Exercise Metabolism, subjects given chocolate milk before hopping on the stationary bikes were able to ride 49 percent longer than subjects given a generic carbohydrate-replacement beverage. . . The reason? Milk has naturally occurring electrolytes that keep you hydrated—more hydrated then water . . . and its natural sweetness helps push more energy into your muscles. WHAT!! I have to market my book too? When you started writing, did you ever think you would have to learn to speak, too? After all, our (written) words are our spokesperson. Correct? Evidently not. And now we have to learn to market too? It’s a little overwhelming sometimes. You have to have an audience before the book deal these days. What do we do now? Here are some words of advice from editor Robert Lee Brewer, senior content editor for Writers Market after he attended the BookExpo America (BEA) conference in New York City. Not a place, he says, to pitch to editors or agents, but to learn about the book publishing industry. He says publishers don’t think it’s a big deal anymore to have a blog, but it is important if you don’t have one, or at least an email list. Then, rank that potential audience by which group would be most interested to least interested (to actually buy the book). Finally, starting with the most interested segments, brainstorm how you can begin connecting (or connect better) with that audience. Jillian Michaels – diet advice that works for writing as well. Yes, Jillian’s article is about losing weight.She’s a diet guru and all that (That’s what she does.) So why am I posting her article? Especially since it is fairly obvious I don’t follow her other advice much. :-] In reading this particular article I could see that it was good advice for anyone. And especially for writers. I have added writing keywords (in blue) to show how this article fits equally well with either subject. You could probably substitute any endeavor. It’s good advice for anyone. Remember the fable about the tortoise and the hare? The hare got off to a zippy pace and seemed sure to win. But he didn’t, did he? The tortoise, while naturally much slower than the hare, kept moving steadily toward the finish line and was able to cross first. What’s the take-home message of this fable? Slow and steady wins the race. To reach your weight-loss [writing] goals, you need to switch from the hare’s mind-set to that of the tortoise. In other words, you must break the “all or nothing” mentality. Do you start diets [books] with superhuman resolve — determined to eschew temptation and work out [write] seven days a week — only to fall off the wagon and give up hope? Such an approach to anything — especially to your [writing] health — can be very appealing, even motivating. But I’m telling you right now that overreaching the most dangerous way to set out. Human beings are imperfect. When you do skip a [writing session] workout or give in to temptation (something we all do), you’re more likely to throw in the towel. So start thinking like a tortoise. Pace yourself. Have a slice of pizza [ 🙂 ] and take a day off now and then, but don’t stray too far from the path that will lead you to your goals. Filed under: Health related, Writing | Tagged: Jillian Michaels, tortoise and hare |	Comments Off on Jillian Michaels – diet advice that works for writing as well. Article on how font choice can save printer ink. MILWAUKEE – Here’s a way you might save $20 this year: Change the font in the documents you print. Also, serif fonts — those with short horizontal lines at the top and bottom of characters — tend to use thinner lines and thus less ink than a “sans serif” counterpart. But while using less ink at home can help you buy roughly one fewer printer cartridge each year, it’s not necessarily better for the environment. That’s because some fonts that use less ink, including Century Gothic, are also wider. A document that’s one page in Arial could extend to a second page if printed in Century Gothic. Blohowiak said her research suggests that ink comprises the main cost of a printout, but the environmental costs of paper are probably higher. Also, Century Gothic was designed for limited blocks of text such as titles and headlines, not for full documents, said Haley, who describes fonts as his “children.” Despite Printer.com’s research and UW-Green Bay’s experience, Haley said he still recommends Times New Roman or Arial for their readability. The standard advice for trimming printing expenses still applies: Print in “draft mode,” if you can. Use both sides of a page and do a print preview to make sure you’re not printing pages with useless text such as a copyright line. Using an ink-saving font is just one more technique to consider. And the greenest way to save on ink is not to print at all. That’s the philosophy Microsoft Corp. said it uses in deciding which fonts to include in its Outlook and Word applications. The more pleasing a font looks on the screen, the less tempted someone will be to print, said Simon Daniels, a program manager for Microsoft’s typography group. That’s why the company changed its defaults in Office 2007 from Arial and Times New Roman to Calibri and Cambria, he said. “We’re trying to move the threshold of when people hit the print button,” he said. Filed under: Writing | Tagged: Arial, calibri, century gothic, font, Franklin Gothic Medium, ink, printer, sans serif, Tahoma, times new roman, Trebuchet |	Comments Off on Article on how font choice can save printer ink.